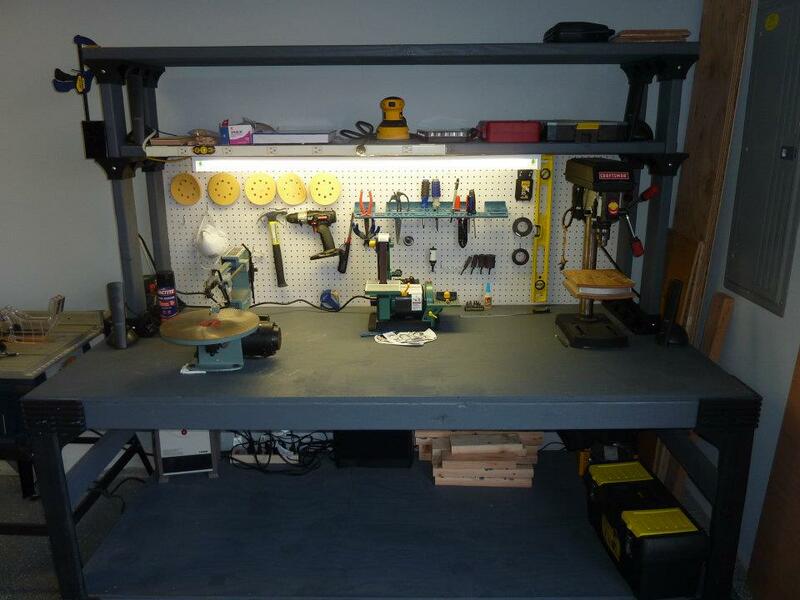 This is the workbench that I built. Equipped with 5.1 Surround Sound! 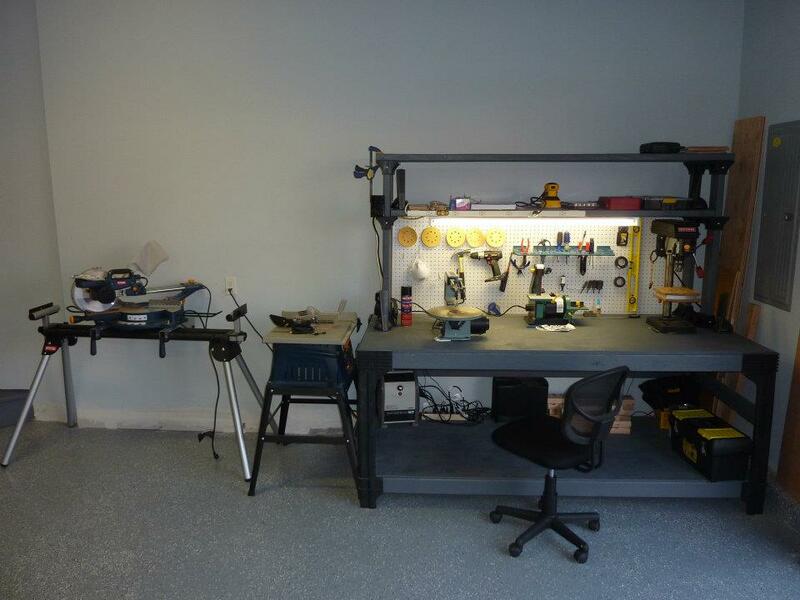 16″ Variable Speed Scroll saw. 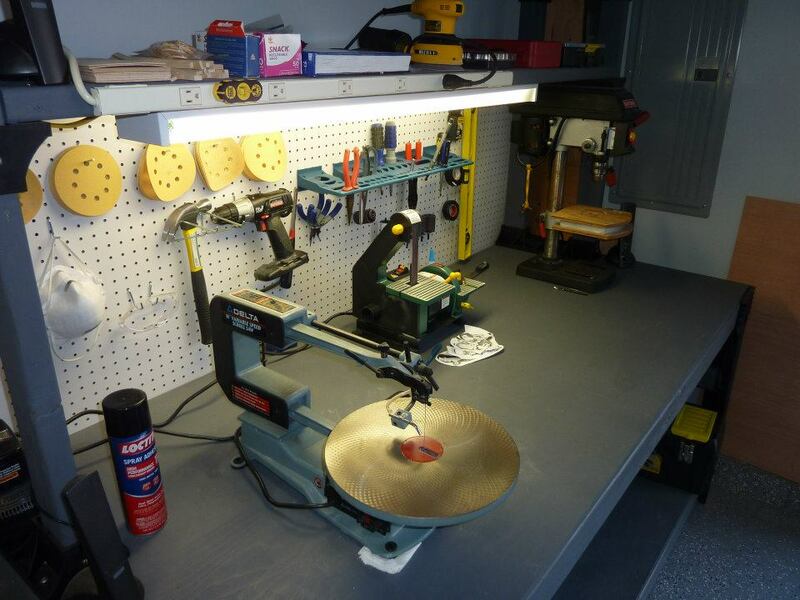 Belt/Disc Sander. Drill Press. Orbital Sander. 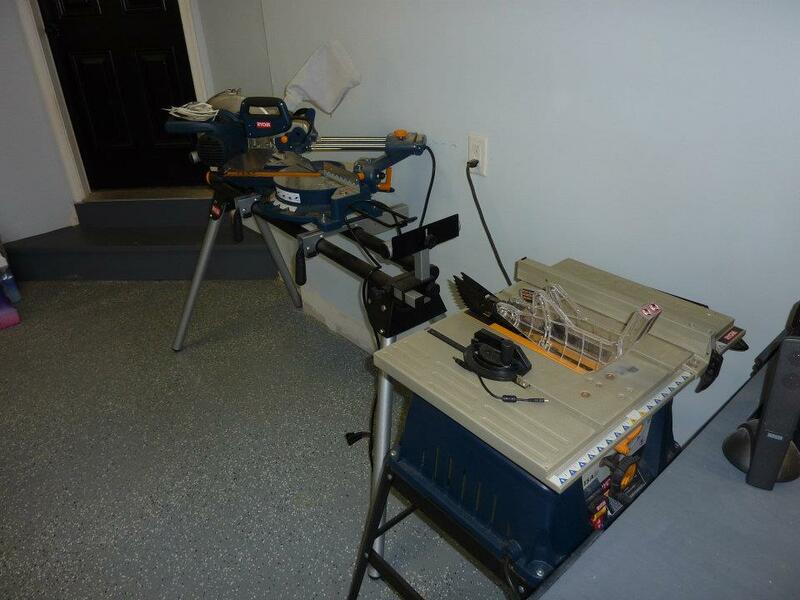 10″ Table Saw and 10″ Compound Miter Saw.